It’s easy to confuse carpenter bees and bumble bees, but these bee species have some notable differences. 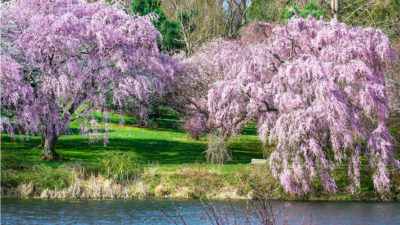 Do you need Monmouth County pest control if you have carpenter bees around? Find out more about this common type of bee in NJ. Carpenter bees can actually be good to have around as long as they’re not causing any trouble, such as property damage. These bees do quite a bit of pollinating, which is beneficial for flowers, plants and gardens. In fact, you shouldn’t have carpenter bees removed unless you absolutely have to. Carpenter bee males are very protective of their nests, especially during spring when mating occurs. While these bees might fly at you in order to scare you, the males don’t have a stinger. Carpenter bee females do, but they hardly ever sting. Carpenter bees don’t build hives like other bee species do. Instead, these bees bore into wood surfaces and build their nests inside it. This can result in holes in your home’s exterior, your deck or other wood surfaces. Keep in mind that these bees don’t consume any wood like termites do, so they usually don’t cause extensive damage. 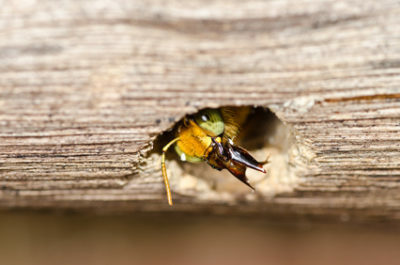 If carpenter bees are causing problems on your property, contact Allison Pest Control. 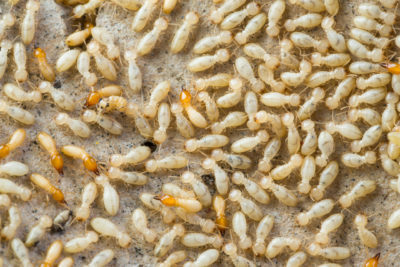 Our company provides high-quality Monmouth County pest control services for NJ homeowners. Lady Beetles: Ladybugs or Ladybirds. What’s the Difference?